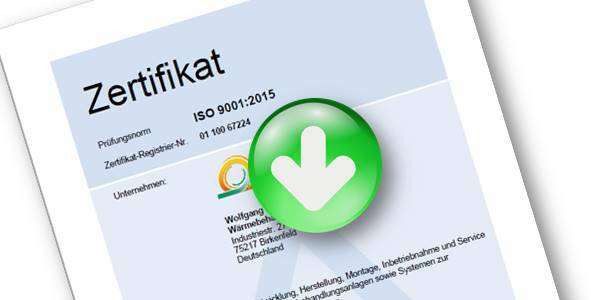 Following a successful audit, Kohnle Wärmebehandlungsanlagen GmbH is certified to ISO 9001:2015 for the development, manufacture, mounting, startup and servicing of heat treatment equipment. You can view and download the certificate. Please click on the picture. In a situation of intensified competition and increasing demands, lasting success can only be achieved in combination with convincing, economical overall solutions and consulting competence. As a manufacturer of thermoprocessing equipments with relatively high energy consumption due to natural factors, we see ourselves as having a special responsibility towards our customers and the environment. When it comes to energy efficiency, we convince our customers by using the most advanced heating systems, energy recovery systems in all conceivable forms and systems that are as waste-free as possible.